Naushir Lalani is a diligent and detail-oriented dentist specializing in dental pain management and cosmetic dentistry. Dr. Lalani has been in practice since 1978 and is happily treating patients in Far Rockaway, NY. 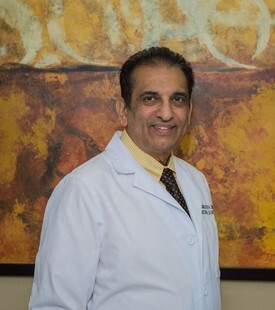 Dr. Lalani is a member of the American Dental Association, the New York State Dental Association, the Queens County Dental Society, and the Indian Dental Association. He is multilingual, speaking English, Hindi, and Gujarati fluently. Dr. Lalani completed his medical education at the New York University School of Dentistry. He performs surgical, impacted, and difficult extractions, root canals, dentures, implants, fillings, bonding, perio treatments like deep cleaning, bleaching, and crowns. Dr. Lalani uses cutting-edge technology to provide his patients with the best care and dental services. His most innovative tools include digital X-rays, implants, laser gum surgery, laser bleaching, and a rotary machine for root canals. 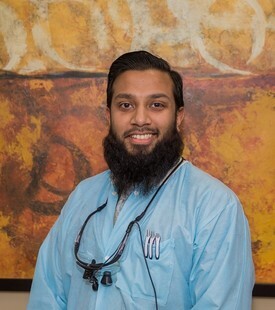 Dr. Lalani’s goals as a dental provider are to help his patients feel as comfortable as possible during their visit, perform procedures that inspire his patients to smile after they leave the chair, and care for his patients’ oral well-being. When not practicing dentistry, Dr. Lalani enjoys spending time with his family, travel and golfing.